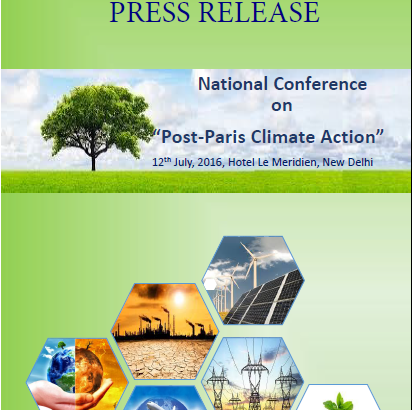 Press Release-Pre Event-National conference on “Post Paris Climate Action” 12th July, 2016, Hotel Le Meridien,New Delhi, India. South Asia (SA) has strong prospects for CBET. However, the region is yet to exploit these opportunities. Though some level of CBET exists in the region, it is still in primitive stages and needs further development. Currently, CBET in SA takes place only between India – Bhutan, India – Nepal and India – Bangladesh. The trade has been through bilateral G2G arrangements based on case to case negotiations. Policy & Regulatory provisions, institutional frameworks and a few other aspects promoting/facilitating CBET exist but are not exhaustive in nature. 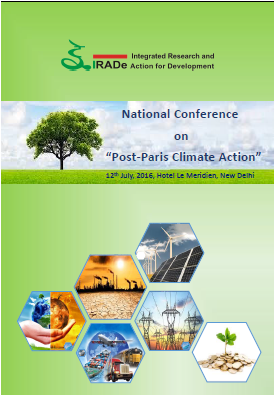 The region envisages a manifold increase in the quantum of electricity by the end of next decade. To achieve this the existing Electricity Laws, Regulations and Policies structures will need to incorporate the minimum regulatory/legal/ policy requirements needed to enhance expansion of CBET, and eventually also incorporate provisions that promote CBET. To achieve these results, the SARI/EI Task Force-1 for Coordination of Policy, Legal and Regulatory Issues has taken up the following demand driven studies.